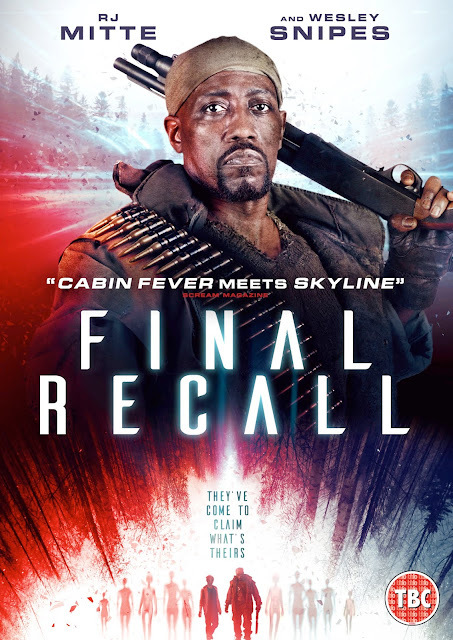 Featuring genuinely creepy creatures and dazzling effects, flying saucers, alien abductions, attractive young actors being picked off one by one, and Snipes charging around the woods in army gear, with a pump-action shotgun, blasting at black-eyed beasties - FINAL RECALL has the lot! Mixing Cabin In The Woods with Independence Day to superb effect, and directed with real visual flair by Mauro Borelli (the concept artist behind such blockbusters as Pirates of the Caribbean: At World’s End, Hulk, Planet of the Apes and The Hateful Eight), FINAL RECALL is a fantastically inventive and thrillingly unpredictable sci-fi thriller. 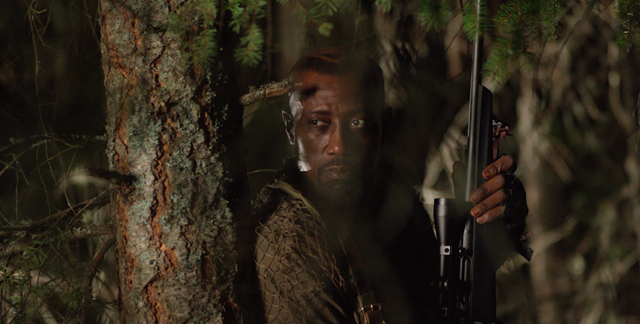 This a full-throttle and fun take on the alien abduction genre that fans of Snipes won’t want to miss, and thrillseekers will have a blast with. on the lake while, unbeknownst to them, aliens have begun to attack planet Earth. A number of the friends are abducted immediately by the ship hovering above, and the remaining two of the group, Annie and Charlie, must rely on an eccentric and dangerous hunter who seems to have special knowledge of the attack, explaining that this day has been prophesized for years and extraterrestrials have been guiding Earth’s evolution in preparation for their ultimate takeover. FINAL RECALL releases on Digital HD on the 14th August 2017 and DVD 21st August 2017.